Discover the science of batteries with the 4M Lemon Clock. 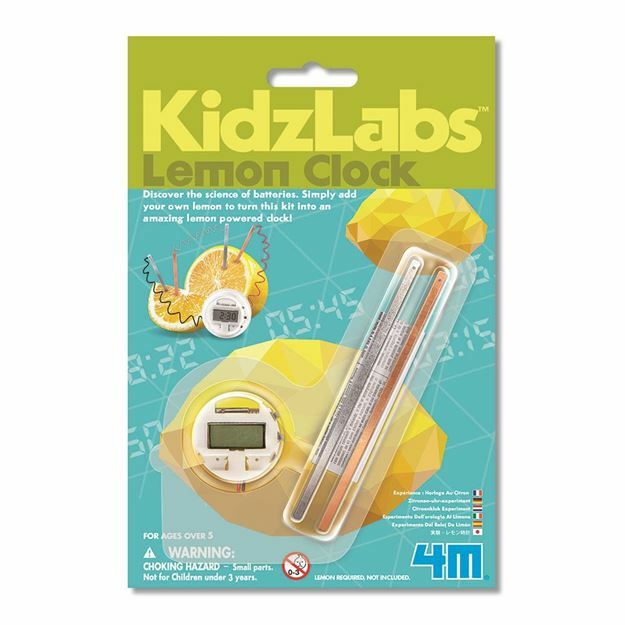 Simply add your own lemon to turn this kit into an amazing lemon powered clock! Includes: copper plate, Zinc plate, LCD clock, wire and detailed instructions. Age 8+ years. Part of the KidzLabs range. Distributed in New Zealand by Holdson.